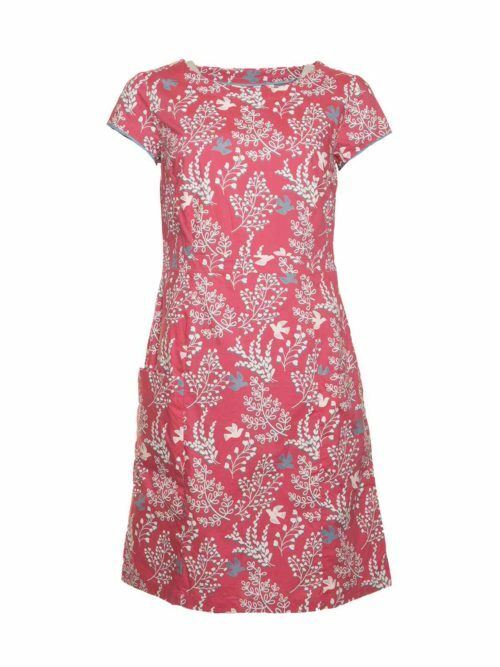 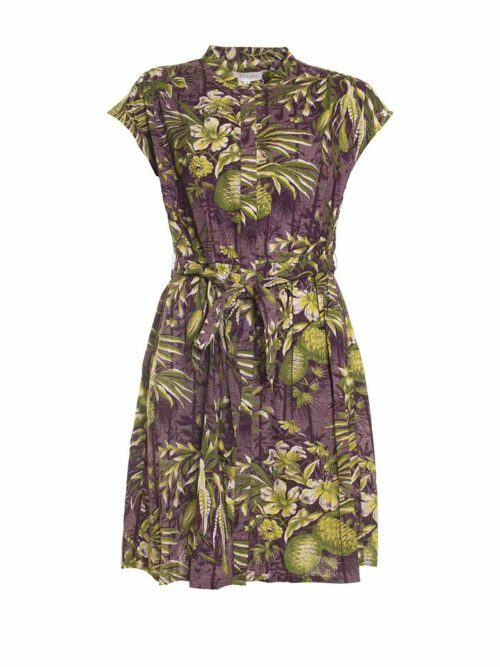 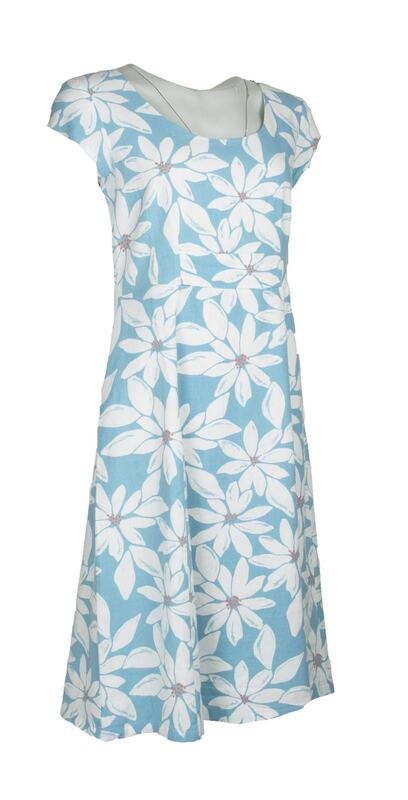 Lush fitted St Agnes dress from Lily and Me in a beautiful mix of linen and viscose. 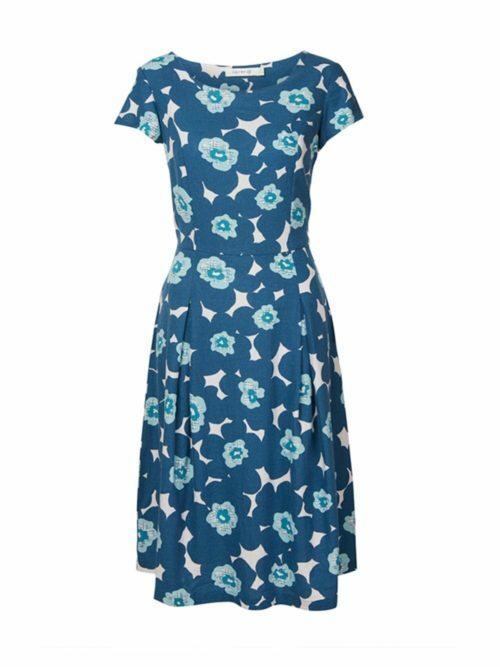 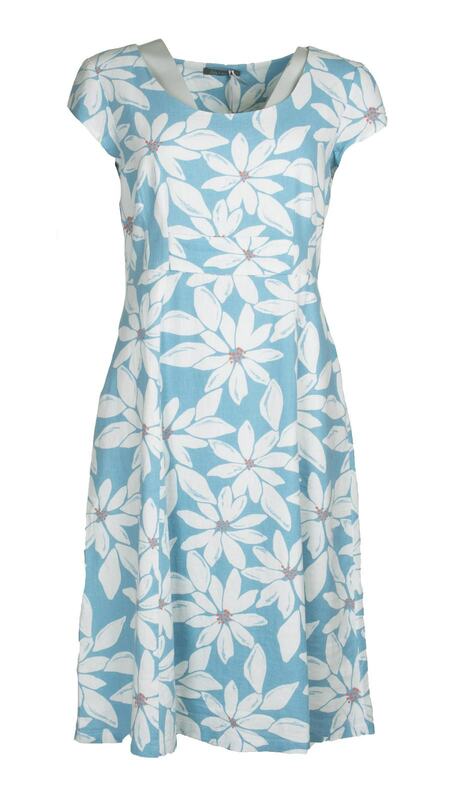 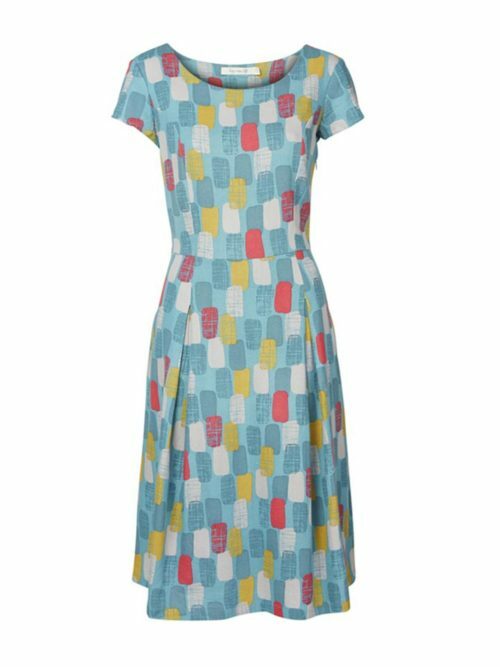 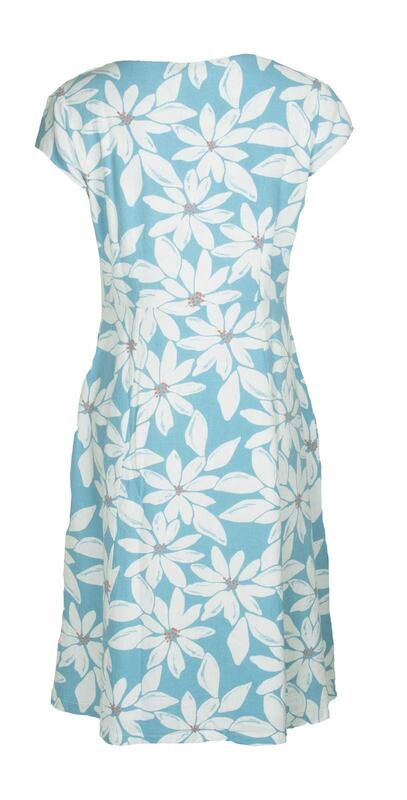 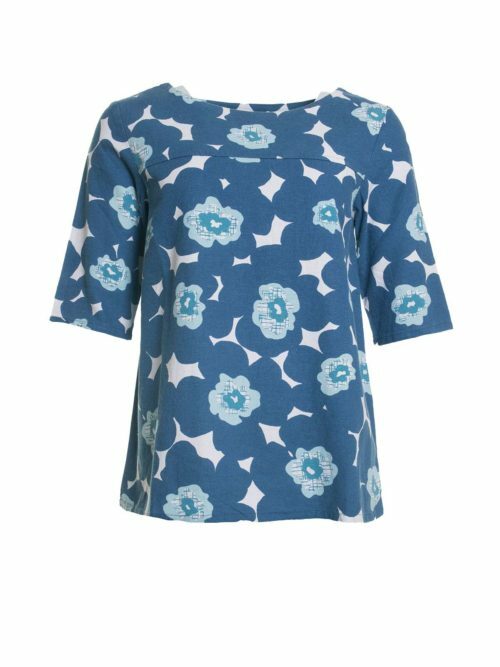 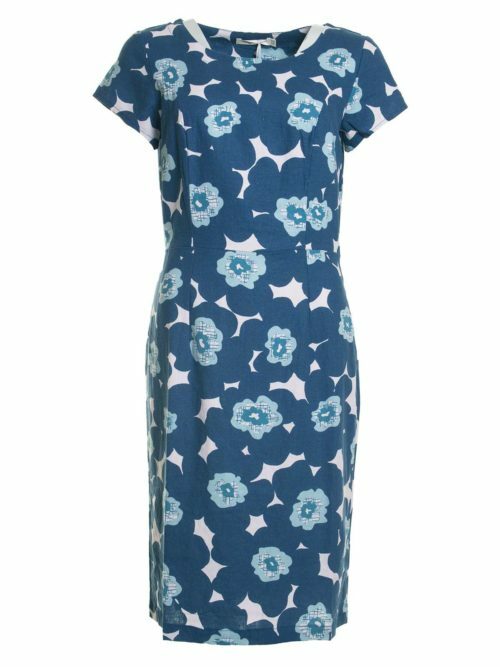 Katie Kerr Lily and Me Daisy dress has a turquoise background with a white and orange daisy print. 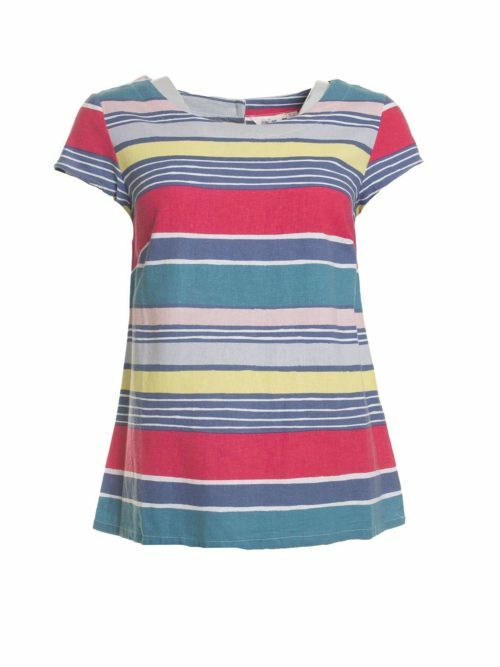 Cap sleeves and scoop neck. 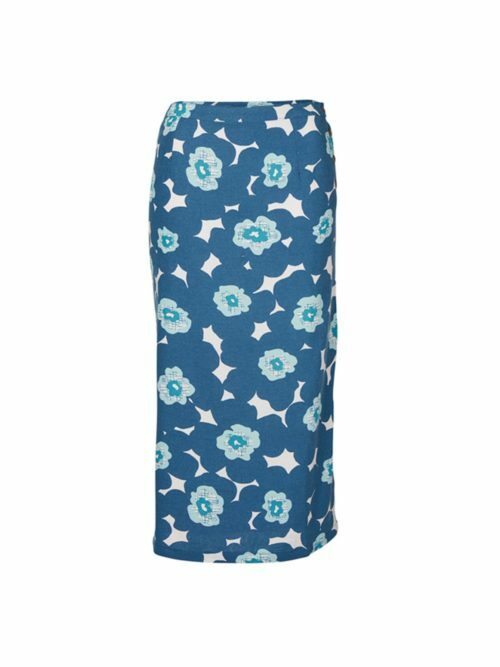 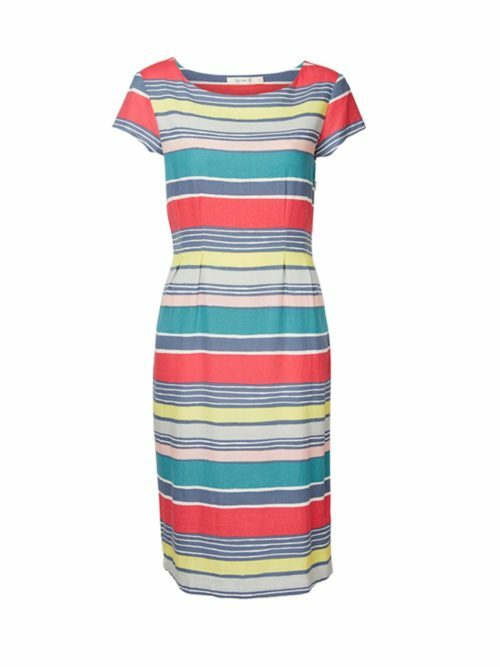 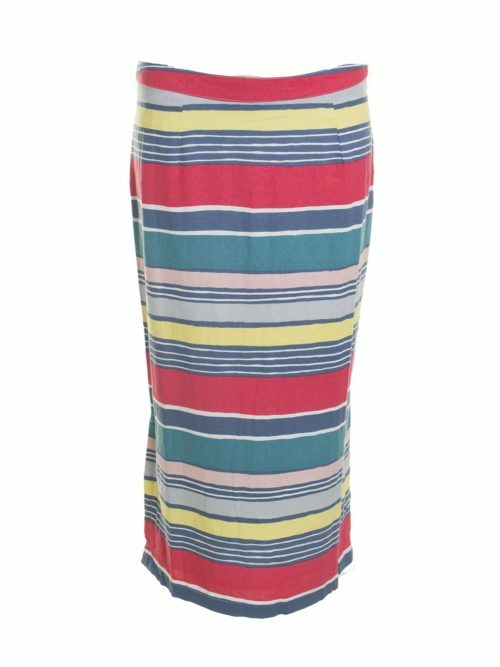 Fitted body and straight skirt with hidden zip side fastening back split and skirt lining. 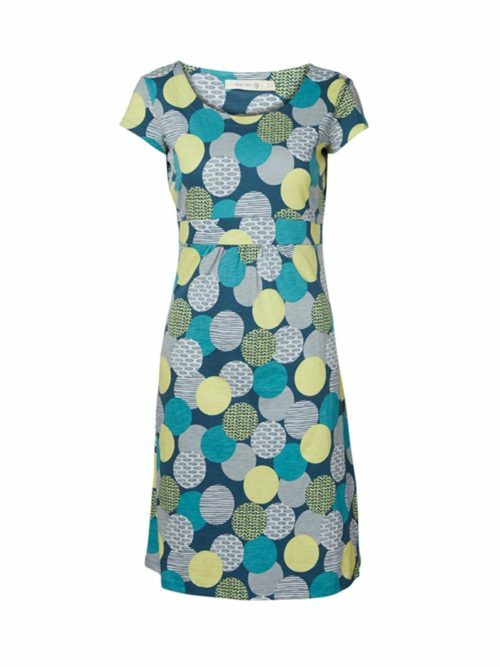 Lily and Me is a new clothing company for Katie Kerr. 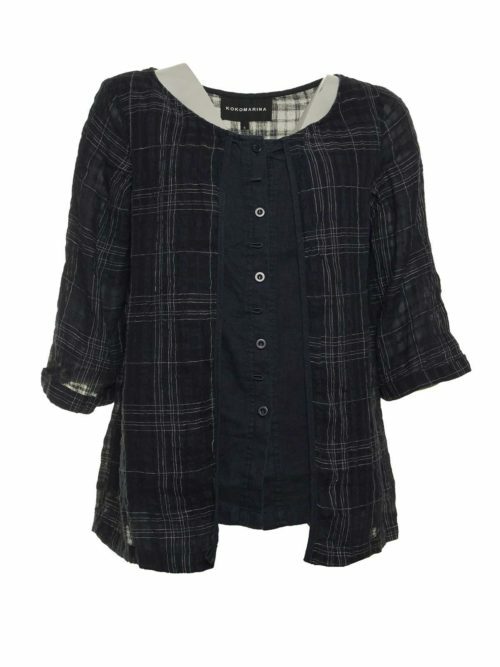 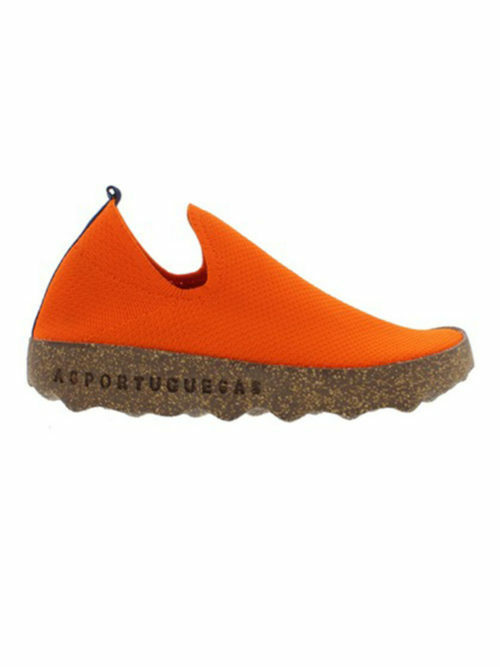 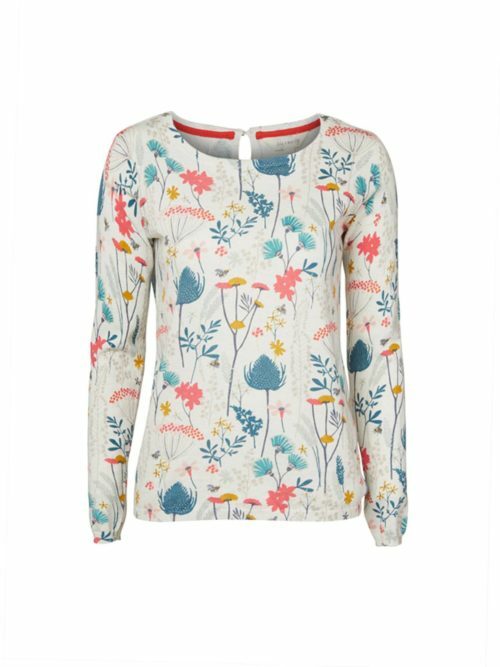 Their beautiful textile designs introduce playful yet feminine looks for comfortable everyday wear. 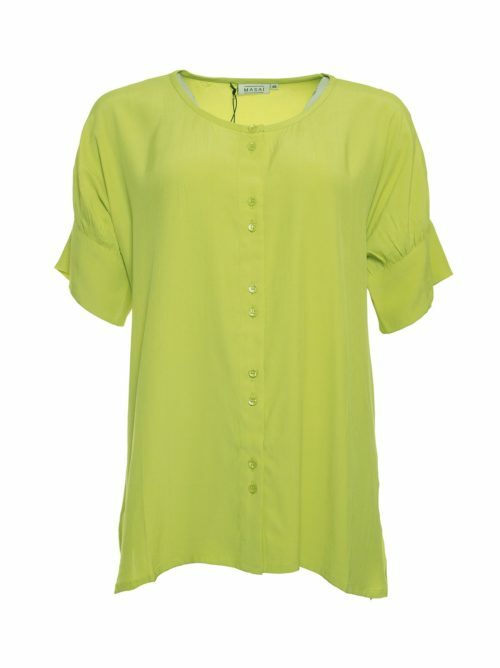 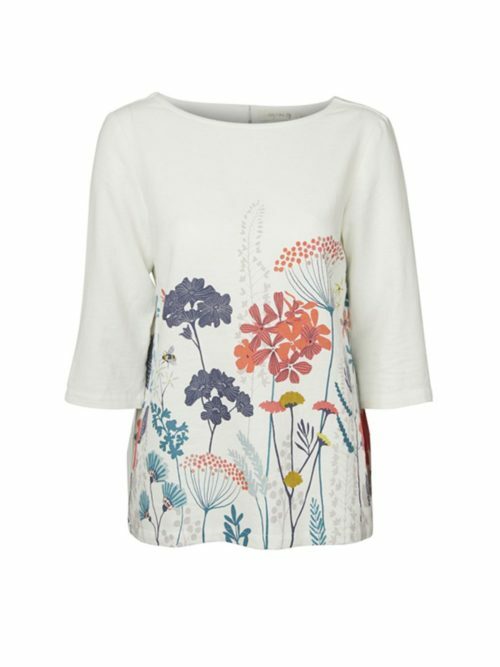 Unique dresses, tunics, tops, knits and skirts so beautifully complement the Katie Kerr range.